Dumbags, No Noise. No Damage. No Injuries. No Hassle! I might be missing something, this is a great idea, but not sure why the high cost. They are bags! This is a brilliant idea, I am sure someone that wants to make a ton of money by selling a truckload will, just at a cost that makes sense. Dumbags- Smart Weights: are purpose-built sandbags, designed to eliminate the major problems associated with metal kettlebells and dumbbells, such as personal injury, property damage, noise, portability issues, storage, cost, and much more. Their brilliant design and versatility has meant that they are suitable for anyone purchasing weights – whether on their own or as an addition to existing weights. Created by Australian businessman and fitness professional, Michael Coates, together with his 2 sons (both Personal Trainers) they have just completed test marketing via a global crowdfunding campaign on Indiegogo, and are very excited by the results, with orders from countries all over the world. Great product and if you want to spend the money its a great alternative. Only Smittybilt could come up with a product as innovative as the new G.E.A.R. Seat Covers. Combining plush comfort with an efficient design, Smittybilt takes the idea of premium seat covers to a whole new level. Each G.E.A.R. seat cover comes fully-equipped with pockets and storage compartments to help you store personal items and save space, while also providing a comfortable and durable seat cover solution. Available in a range of sizes and configurations, you can use them to cover the front seats of your jeep, the rear bench seat, or just about any truck seat. Their modular design lets you add and remove pouches to create your ideal storage layout, customizing them to accommodate whatever gear you choose to bring with you. Made from 600 denier polyester with a PVC liner, they are highly durable and available in coyote tan, OD green, and black. TomTom, you would have thought missed the boat, ok they did with smartphones and the whole mapping apps. Well I have to say they bounced back, very well, it is hard to buy yourself another watch, but one that can detect pretty well treadmill and laps done in a pool, well that is worth $200. Scrap all the other toys you have planned for the holiday season and return the other watches, this is a game changer, Yeah TomTom is not well known in the Multisports arena or any arena outside your car, but for years many trusted it to get them where they were going. I am sure it can do an amazing job tracking where I want to go! 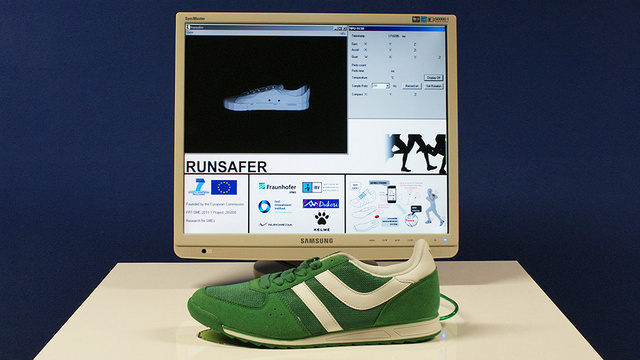 Sneakers That Track Your Steps!